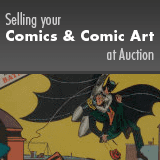 Our experts will evaluate your Comics & Comic Art for auction or private treaty sale. How Do I Identify My Comics? What comic books and comic art are valuable? What is Grading and Why is Grading Important? Should I Get My Comic Book Professionally Graded? What Are My Comics Worth? Identifying a comic book is not as easy as just looking at the cover. 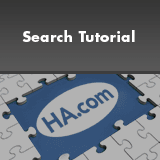 The easiest way to find the exact title, issue number, and publication date for your comic book is to look for the indicia, the block of small type which is usually located inside the front cover or on the first page. Since comic books are usually printed monthly, bi-monthly, or quarterly, and some characters appear in multiple titles, it is necessary to consult the indicia to make sure you get all the correct information. Comic books: In general, the comics that have the most collectible value are those published between 1938 and 1979. Typically within that time frame, superhero comics hold the most value, with first appearance or origin issues being the most sought after. The vast majority of comics from the 1980s and later have little, if any, value today. In the 1980s and early 1990s, the comics industry experienced a speculator boom of collectors who saw potential in an up and coming collectors market. They bought and hoarded large numbers of each issue, not realizing that they were ensuring the worthlessness of the very items they were hoping to profit on. This artificial demand increased comics print runs, making them virtually worthless in the long term. This misuse of the market by collectors and publishers alike led to the virtual collapse of the comic book industry in 1998. Comic art: Original comic art, the actual original page that an artist prepares for the publication of a comic book, has become a hot collectible over the past two decades. Once considered worthless production detritus, original art was routinely discarded or given away to fortunate fans. In the early 1980s, collectors began to realize that these pieces of art were one-of-a-kind treasures, and an active market was established. Today, original comic and comic strip art can be found hanging in museums such as the Metropolitan in New York City, and the right piece can bring tens of thousands of dollars. Since each piece is a unique work, it is outside the scope of this article to discuss the many factors that go into valuing an original piece of art. You should contact a Heritage Comics representative for more information if you're considering selling comic book or comic strip art. The grade of a comic book is a shorthand description of the book's condition. How to grade a comic book is beyond the scope of this article, but we invite you to look at our grading tutorial for more information. When buying or selling a comic book, or any collectible, it is important that both parties reach a level of agreement on that collectible's condition or grade, as this will to a great extent determine its value. In the past, this could be a difficult proposition, as it was in a seller's best interest for a book to be graded as high as possible, and it was in a buyer's best interest for the same book to be graded as low as possible. Enter CGC (Certified Guaranty Company), a third-party grading service. For a fee, CGC will examine any comic book submitted to them, check it for restoration, render an impartial opinion on that books condition, assign it a grade, and encase the book in a protective plastic shell, to prevent anyone from tampering with the book once it has been graded. As CGC has no interest in the value of the book (they are neither buyers nor sellers), the grade rendered is truly impartial. This service has done a superb job in promoting consumer confidence, thus reinvigorating the industry as a whole. Not every comic book is a good candidate for third-party grading. A number of factors are involved in deciding whether or not a comic book should be submitted to a grading service such as CGC. First, of course, are condition and value. If the comic in question is not of sufficient value, it is not in your best interest to spend the money to have it certified. Heritage grades thousands of comics every year and we have experts on staff to evaluate the conditions and the cost-to-value ratio of sending any book in for authentication. If you have any questions or would like some advice or help with a confidential evaluation of your collection, please call our toll free number at (800) 872-6467. In order to find out more about the comics that you own, a superb reference is the Overstreet Comic Book Price Guide by Robert M. Overstreet, available in bookstores. Heritage also sells an electronic version that you can read on your computer for just $29.99. In mere minutes, you can download this book and start to learn about your books. Order and download the electronic version now! Keep in mind that this book — indeed, any price guide — is not always an accurate reflection of the market, often because the market can change before a new edition can be printed. These guides will, however, provide you with superb insight about rarity and premiums. Again, please remember that the prices listed in this or any reference book should be used as a guide only, and the prices shown do not necessarily reflect the prices your comics will realize at any given time. The best way to find out what comic books are worth is to look at what people are paying for them. Heritage's Auction Archives show actual prices paid in our auctions for many outstanding comic books and pieces of comic art, and more prices are being added all the time. With every individual item lot imaged, the Permanent Auction Archives are also an outstanding resource for identifying your material. 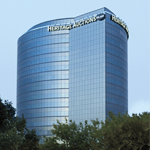 The Permanent Auction Archives are a free resource, available to all Heritage members. Sign up now! Lon attended Truman State University from 1991-1995, and, while there, entered the comics business part-time. His successful part-time business became a successful full-time business In 2000 when he started J.L.A. Comics. Lon joined Heritage in 2002 and became Director of Sales for the Comics Division in 2005. He is an advisor to both the Overstreet Comic Book Price Guide and to GPAnalysis.com.